Sofa Cleaning Heidelberg Heights : Let's bring back the original look of your Sofa with Lotus. Sofa Cleaning Heidelberg Heights provides a high quality Sofa, Couch & Lounge Cleaning Heidelberg Heights services including stain removal, sanitizing & fabric protection for domestic and commercial consumers. 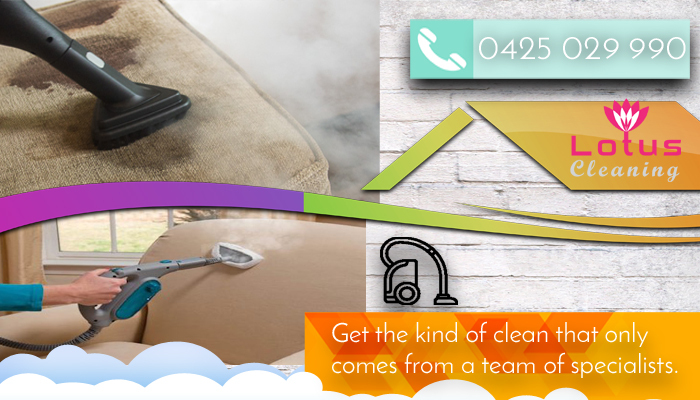 Call on 0425 029 990 for Same Day Sofa Cleaning Heidelberg Heights at Lotus. Then you may want to try our sofa dry cleaning Heidelberg Heights service, here we use no water but still manage to get the deeply stuck dirt out of the fabric. We do this using a rotary brush which has different speed settings to match your material. After the crystallization process, all the dirt can easily be brushed or vacuumed away leaving your sofa perfectly clean and hygienic.